Three weeks ago, on October 1, 2015, the cargo ship El Faro sank in the middle of the Caribbean Sea, during category-four Hurricane Joaquin. The boat was built 40 years ago. Until it finally sank and disappeared, it regularly shuttled cars, TVs, food and other items from Jacksonville, Fla. to San Juan, Puerto Rico. 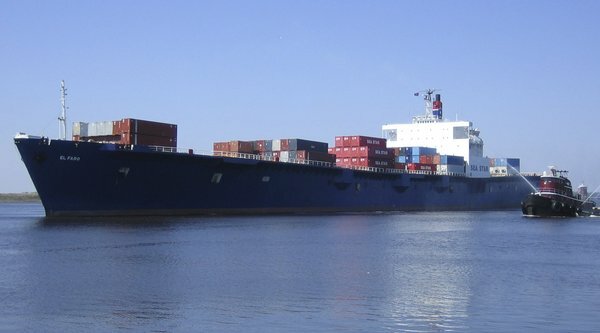 But at 40 years of age, with a history of engine failures and lifeboat deficiencies, El Faro should not have been operating during a hurricane. The deeper problem, is that El Faro should have been running from Jacksonville to San Juan at all. Not for 40 years, and not ever. Period. Ever since 1920, Chapter 27 of the Merchant Marine Act of 1920 (aka the Jones Act) has forced foreign registry vessels to unload all their goods in Jacksonville, re-load them onto US-owned ships, and only then, are these foreign goods allowed into Puerto Rico. Through this mechanism, Jacksonville has retained 50,000 shipping industry jobs that rightfully belong in Puerto Rico. Through this trick, the US makes sure that millions of Puerto Ricans pay 15-20% higher prices for all foreign and US goods, than they would pay without the Jones Act. This one law alone – the Jones Act – costs Puerto Rican consumers over $6 billion per year. If it weren’t for the Jones Act, there would be no “public debt” and no “fiscal crisis” in Puerto Rico. The 33 crew members of El Faro did not have to die in the Caribbean Sea. Puerto Rico does not be enslaved to 15-20% higher corporate profits. It is time to END THE JONES ACT. Are there any petitions we can sign? Anti-American labor propaganda with nice try to cover up bad management and profit driven failure to perform normal maintenance on a ship that should have had many more years of safe and effective merchant marine service. It is a much more realistic statement to say, the owners were trying to squeeze more than their share of profit from the boat and crew by negligent management, and the Captain more afraid of missing his schedule than following normal observance of safety precautions for his crew. That is probably what put this vessel on the bottom. The Jones Act had not a thing to do with it, unless you’re really claiming that all shipping should be done on Chinese flagged ships. I am suggesting that without the Jones Act, ships could enter DIRECTLY into Puerto Rico, and would not be diverted to Jacksonville IN THE FIRST PLACE. This post led me to write my own: http://thegadabouttown.com/2015/10/19/the-pointless-loss-of-el-faro/. Thank you for making m aware of the Jones Act and its repercussions-Mark. Stop stealing from the people of Puerto Rico, get rid of the Jone’s act. The people are tired of being used and abused. Step up to the plate America and correct this HISTORIC MALPRACTICE. 95 years is enough,the people are aware of what is going on. Another day older and deeper in debt, they are already wrecked.